• Tassy four years later in Brooklyn, New York. • on floors, ledges, tables, walls. Hours: Daily, 10:00 a.m. to 7:00 p.m.
Trends from Brooklyn NYC Garden Centre "Sprout Home" ~ Tassy de Give covers customer favorites, such as Planterworks Metal Containers, butterfly attracting flowers/herbs, mounted staghorn ferns, and terrariums. traditional selections for ledge-, shelf-, table-, and window-planters. enclosed/woodland baby-tears, creeping-fig, dragon-tree, dragontail-plant, nerve-plant, philodendron, polka-dot-plant, spike-moss. 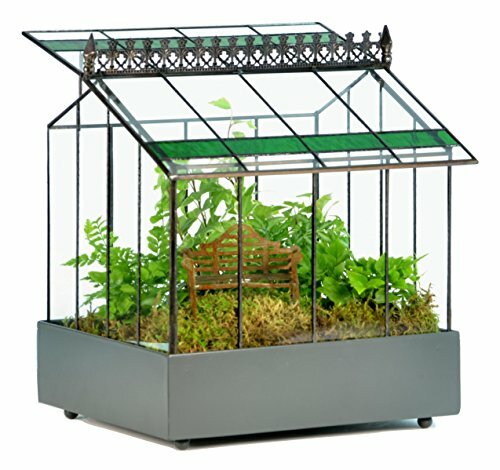 light, moisture, nutrients, potting/repotting, pruning, soil. Mount Your Staghorn Fern in Under 5 Minutes! Heibel, Tara; and de Give, Tassy. 2015. 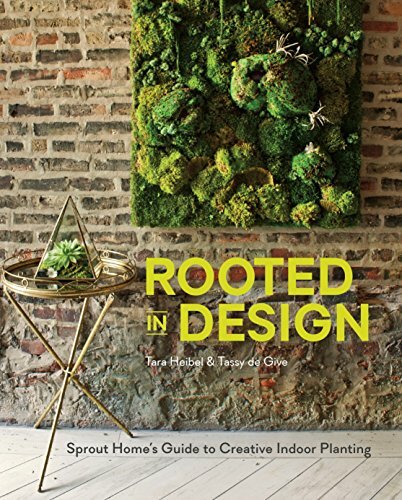 Rooted in Design: Sprout Home’s Guide to Creative Indoor Planting. Photos by Ramsay de Give and Maria Lawson. Berkeley, CA, U.S.A.: Ten Speed Press. Glass terrarium with hinged roof ~ Entire glass top/house lifts off ~ Base is metal with dark gray powder coat finish, ball feet, and plastic liner. katiem2, Thank you for liking what Sprout Home does for commercial, industrial and residential sites, making them greener and greener one plant, and another, and yet another at a time. A green, living roof sounds so attractive, friendly, healthy and so very Irish and Scot, like my ancestry too. Wouldn't your green, living, Irish-, Scot-style roof make a great children's book with your redheads skipping through the open-air, sunlit greenery? 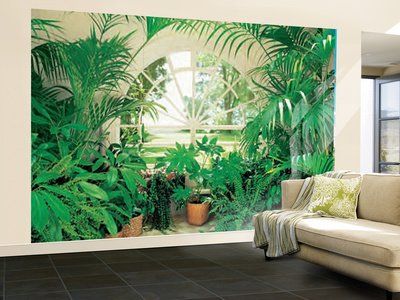 I adore plants and planting, I have a multitude of plants both indoors and out. It just feels better to be surrounded by plants. I find it hard to imagine how so many people live without this awareness and are not enjoying the many benefits of sharing their dwellings with living and breathing plants. I have a collection of air plants as well. This article caught my eye and have been pleasantly surprised by the new and different ways I can add more. I really want a living roof, working on developing the details, living in Ohio is much like living in my homelands, Ireland and Scotland so as done there I am hoping to do here. 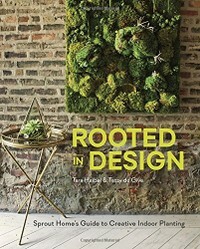 Mira, The Rooted in Design authors do a big business with commercial/industrial space converted into apartments and homes or maintained for business and industry. So they know how to coordinate weight with weight-bearing walls inside as well as outdoors, be it building exteriors or interiors or inner or outer courtyards. The book mentions wall-held boards for affixing like about three plant-filled mason jars, planters and pots. Some of the wall planters look brick-sized; others like those boards (I'm not thinking of their name right now) that from the profile look like a v because they're like an accordion file for papers; and still others closer to a rectangular container that would fill the sill to a window with three horizontal by four vertical panes. Sorry not to have included this in the answer below ;-[! Mira, Terraria are quite popular here, for many reasons, among which they give such great views from many different angles and perspectives of what's inside them. Me too, I like glass even though I'm simultaneously wary because of the possibility of cracking and shattering. In another direction, have you seen the film L'heure d'été? I love the scenes about the cumbersome glass vase that, up to the point of inventory, everybody disdains except Éloïse. These terraria are quite popular now. I also like these glass bowls, but they seem a little too cumbersome. They somehow make more of a statement than the plants themselves, I think. Does this book mention planters in a wall-like setting? I've seen this here in Bucharest, and I like the idea, but it's mostly one for the outdoors. Cassie Liversidge’s Homegrown Tea offers an illustrated guide to planting, harvesting, and blending teas from tea plants and tisanes from non-tea plants. Author, blogger, gardener, lecturer, photographer Ken Druse’s The New Shade Garden has facts and photos on creating a lush oasis in the climate change age.